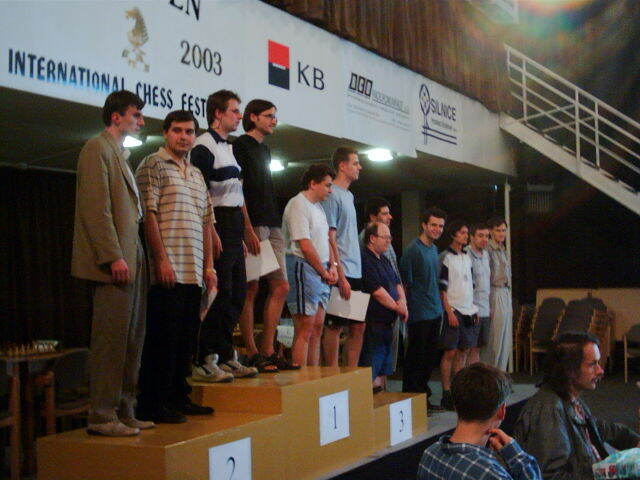 The first official championships of Czech Republic in bughouse doublechess, modern realtime form of chess, was the first officially by chess federation ratified championships in this discipline in the world ! 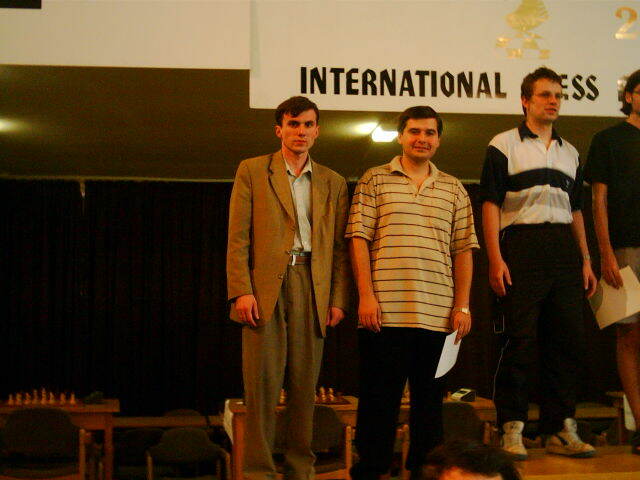 The Czech Chess federation ratified the complete bughouse rules as official for playing bughouse tournaments in CR. 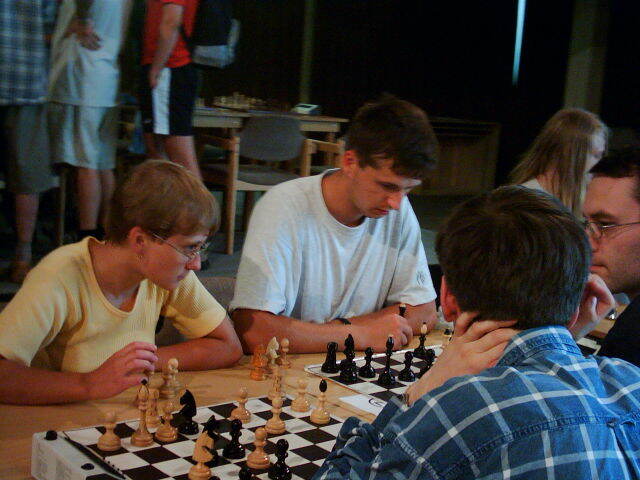 In CR we call bughouse chess also "holand'any" what is slang version of dutch chess. 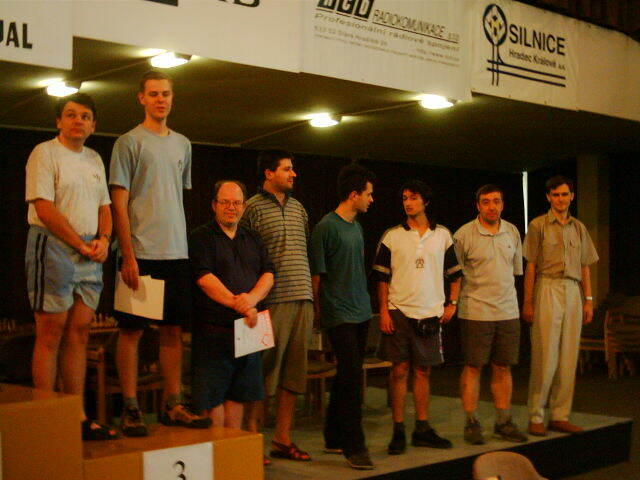 The open championships of Czech Republic in bughouse doublechess was played on digital clocks, qualification as swiss system : 7 rounds, 2 games in round, 5minutes per game. In each team was first and second player and player played x opponent player on the same board witch both colors. On start 26 teams from Czech Republic, Slovakia, Ukraine, Russia, Latvia. The team favourite before tournament was Hradec Kralove duo M.Tajovsky + J.Jezbera, with best OTB Czech bughouse rating 2218 BELO. 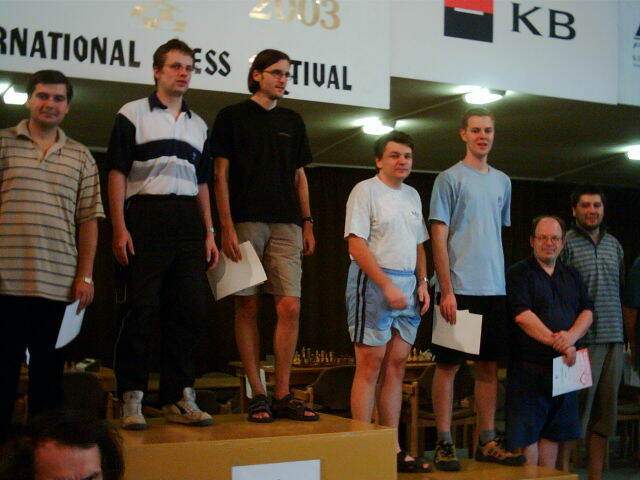 On FICS this players are known as Matejus and Alamar with best higher rating among czech players on FICS (but they doesn't played on FICS as team). The main sensation was that very strong chess grandmaster S.Movsesian will try play bughouse! The best 10 teams qualified to play finale A, the rest played finale B. In final groups we played each team versus each 2 games in 3minutes per game time control. As You can see few teams stoped playing after qualification. No Team From 1 2 3 4 5 6 7 8 9 10 Sum SB. No Team From 11 12 13 14 15 16 17 18 19 20 Sum SB. Performance calculated in Microsoft Excel You can download here. Here is the poster. 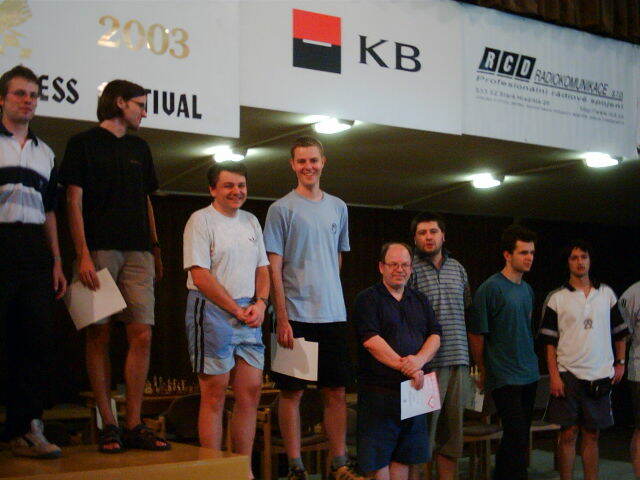 So as You can see the best czech team and first official champions in modern realtime chess discipline : bughouse are Martin Tajovsky + Jiri Jezbera, both from TJ Slavia Hradec Kralove, the "main city of bughouse chess in Czech Republic" :-) They losed only one point in last round when already was clear that they are the champions and that they will be writed into history of czech bughouse chess by golden ink.